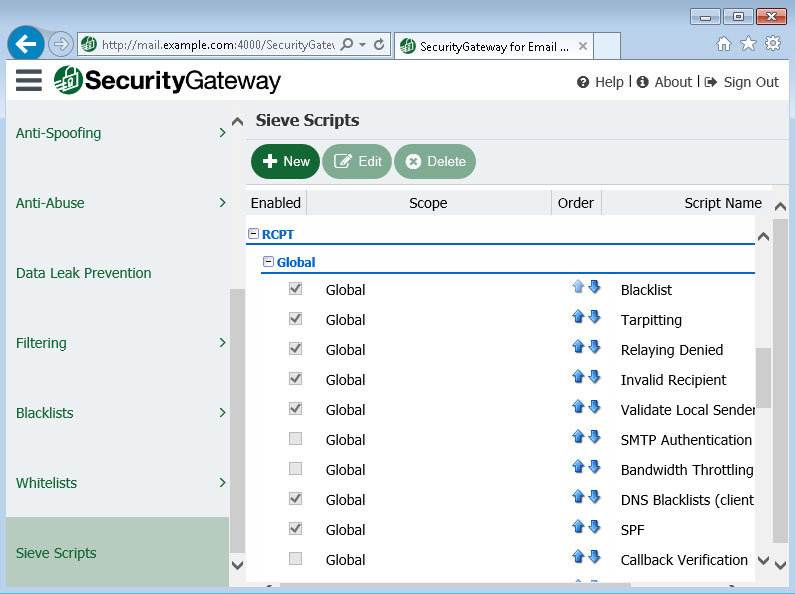 SecurityGateway for Email Servers can be fine-tuned for optimal performance. 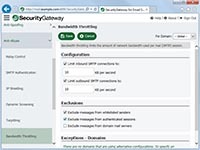 Defense Layer Customization allows administrators to change the order in which security rules will execute, while bandwidth throttling can be used to prevent email services from using all available bandwidth. 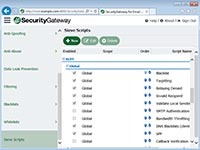 A unique control that allows global administrators the flexibility to prioritize the order of operations of SecurityGateway for Email Servers' multiple security features. Simple up and down arrows within the easy-to-use interface enable an administrator to change the order in which a specific security rule will execute when analyzing incoming or outgoing email traffic. This technique can result in faster processing of email by allowing the rejection or quarantine of messages at the earliest point during processing. Bandwidth Throttling can be used to monitor the consumption of bandwidth used by SecurityGateway, both globally and for individual domains. Using Bandwidth Throttling, you can control the rate at which each inbound and outbound SMTP session progresses.